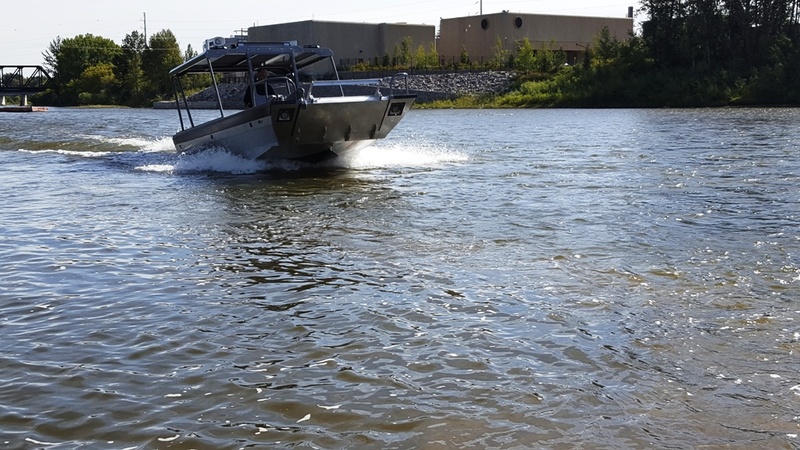 They liked the first one so much, they came back for another. 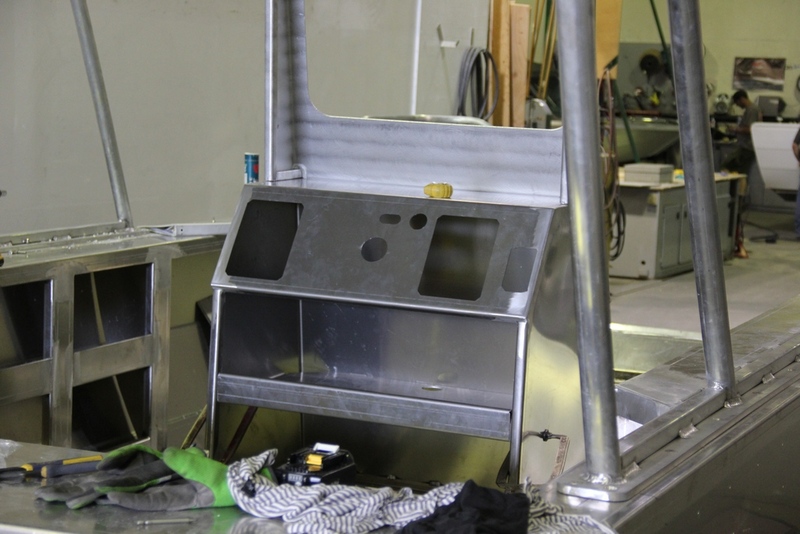 Similar build to the first one. 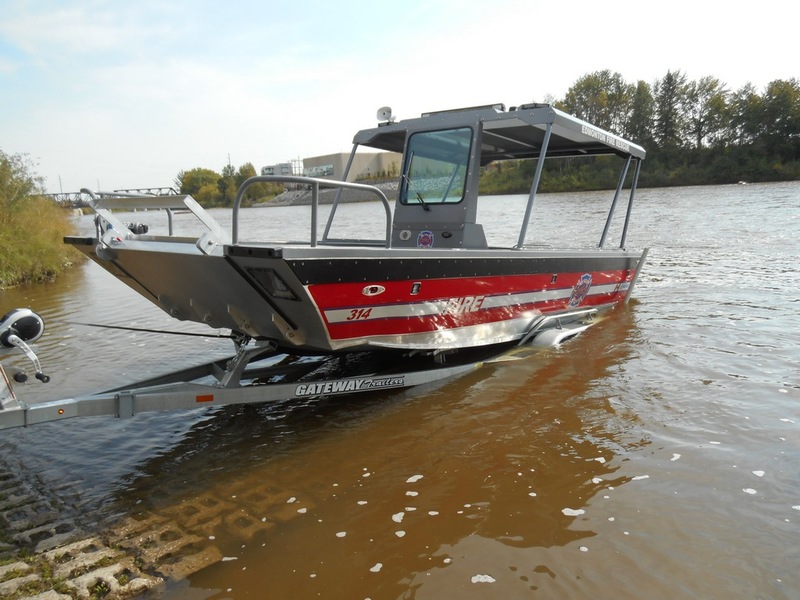 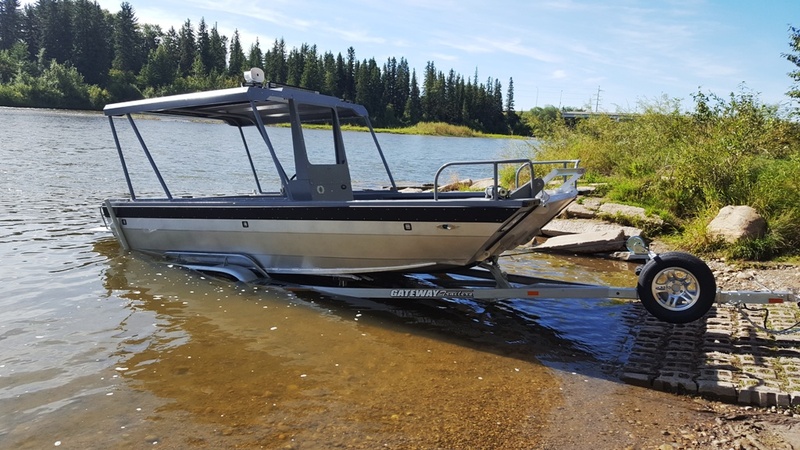 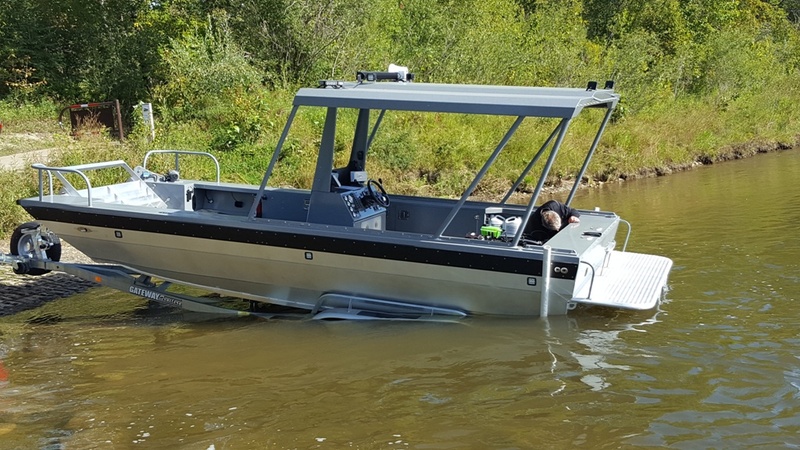 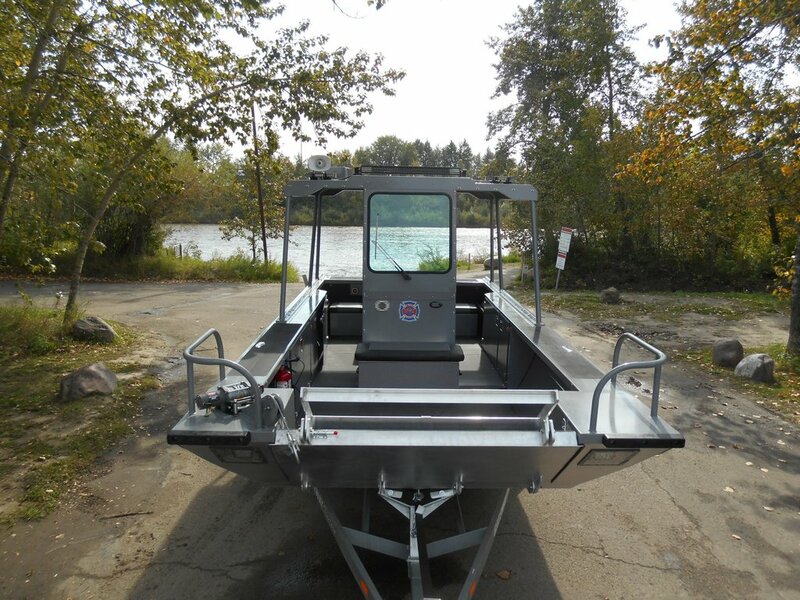 19.5' Landing Craft, 6.0 liter 400 hp engine, 212 Hamilton pump, hard top canopy and canvas side curtains, powered front ramp, winch, GPS, light bars, and more. 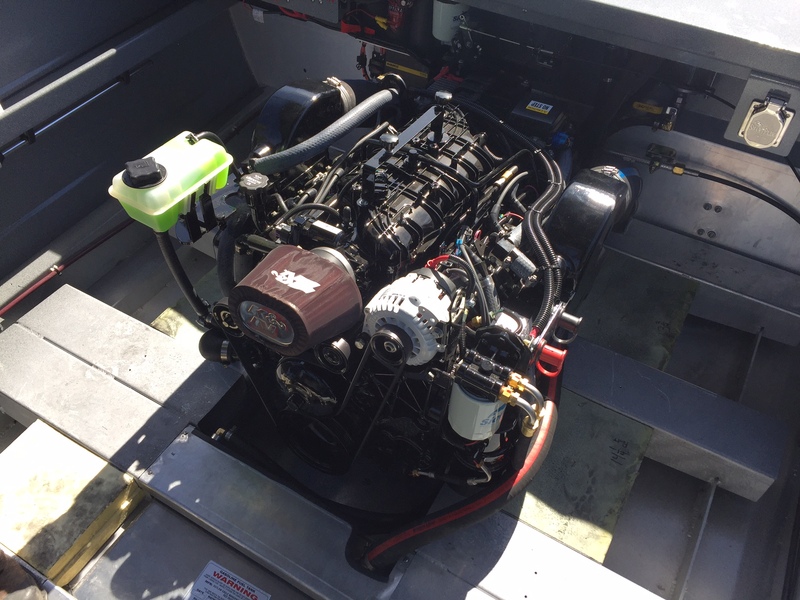 400hp out of a 6L? 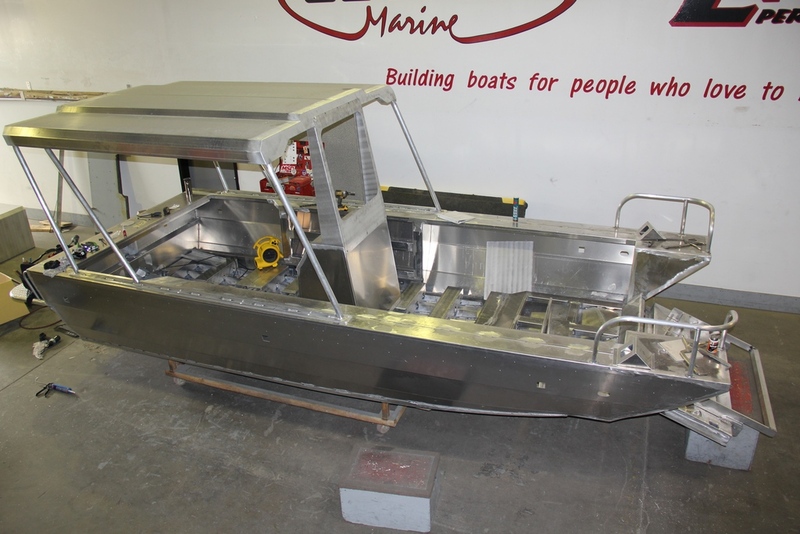 Is it a custom engine? 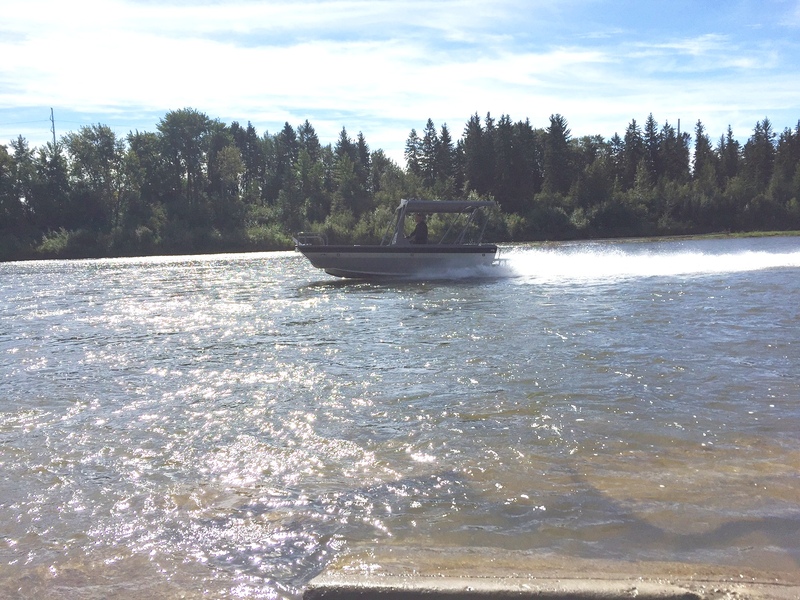 With the new Landing Craft for Edmonton being nearly complete we had it out for its maiden voyage today! 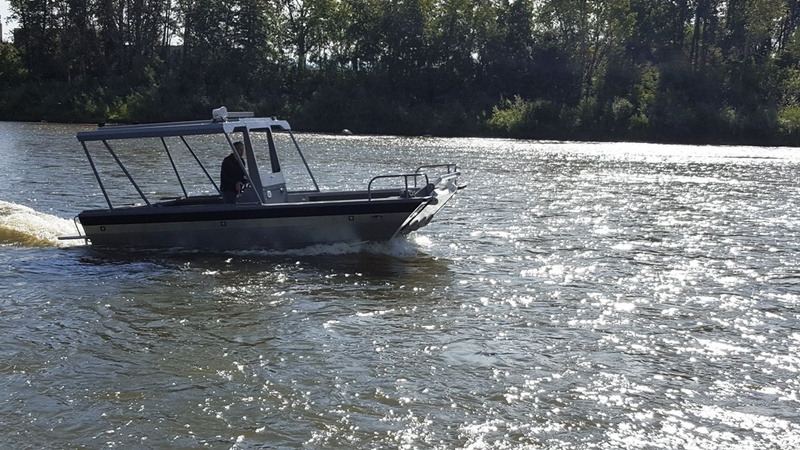 The boat performed very well. 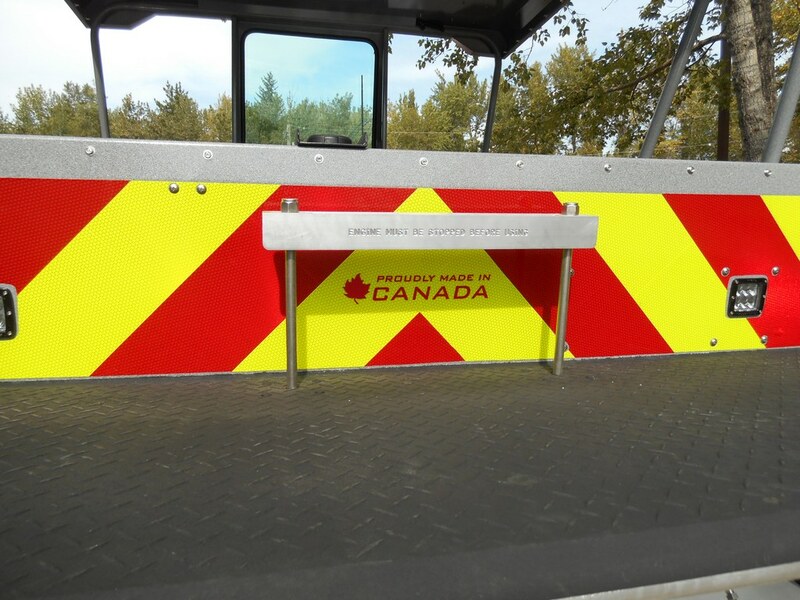 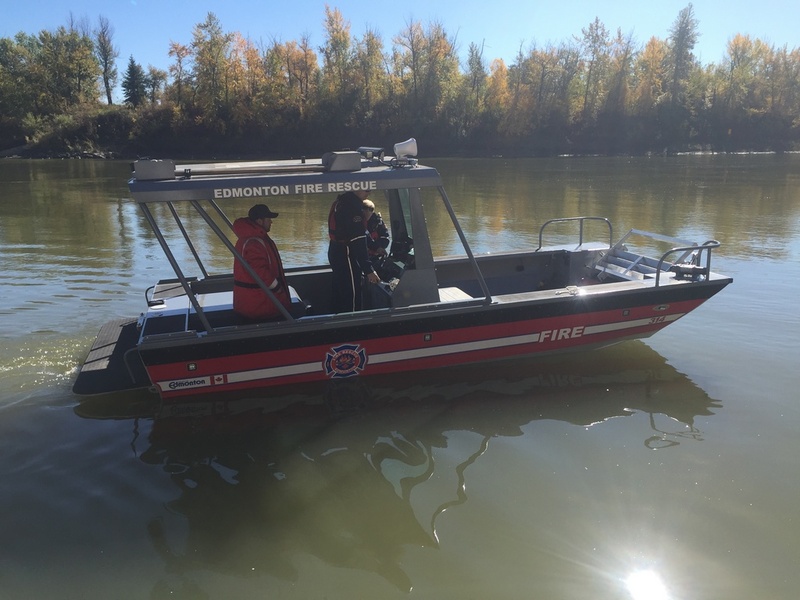 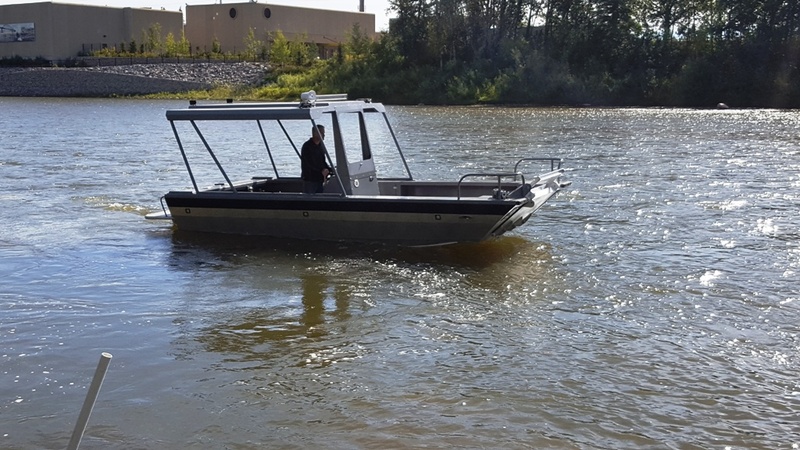 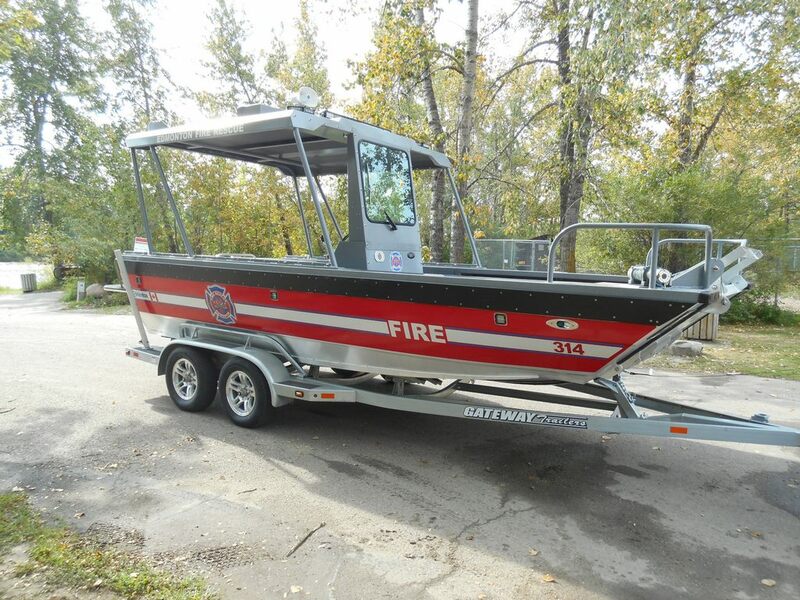 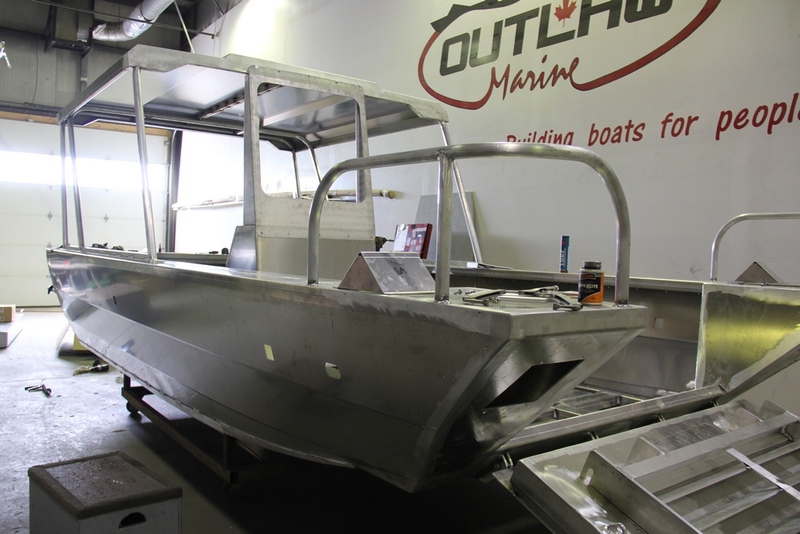 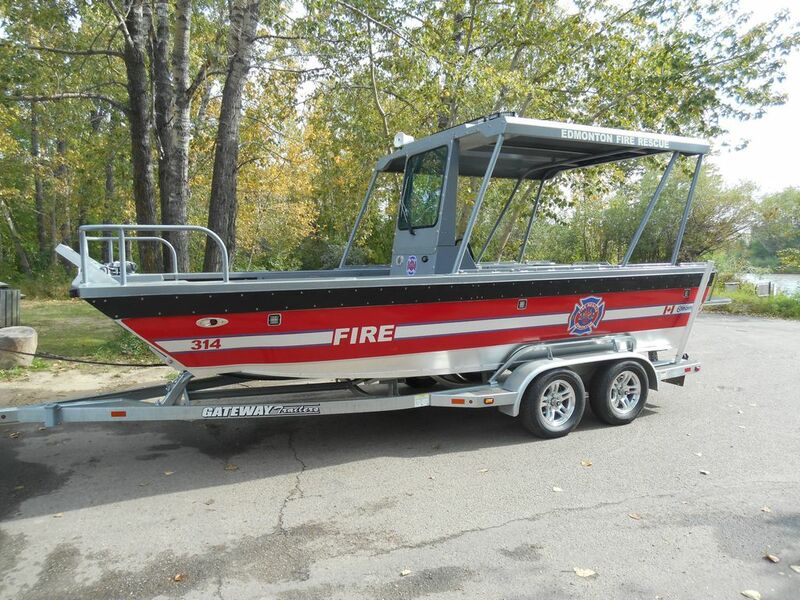 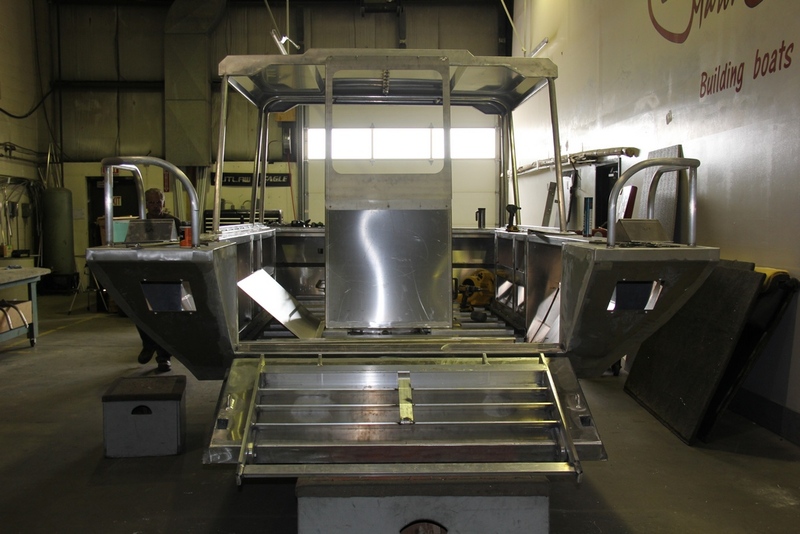 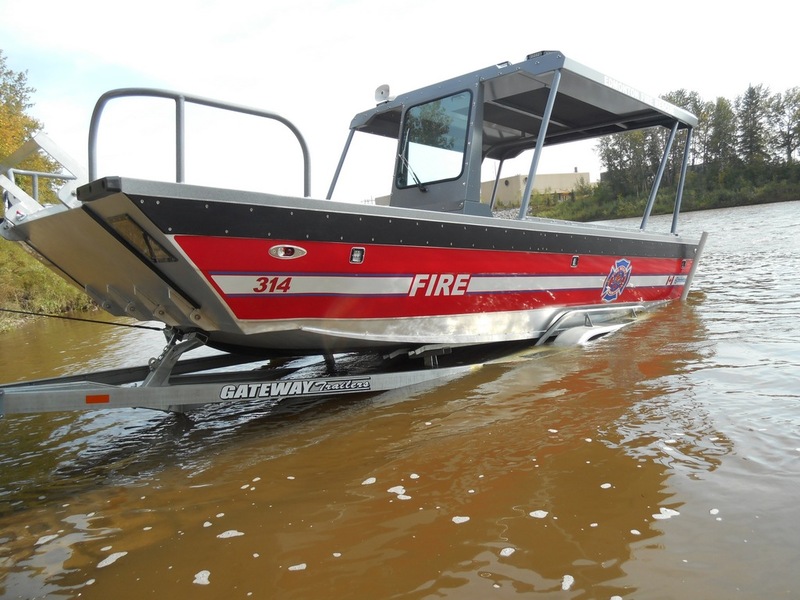 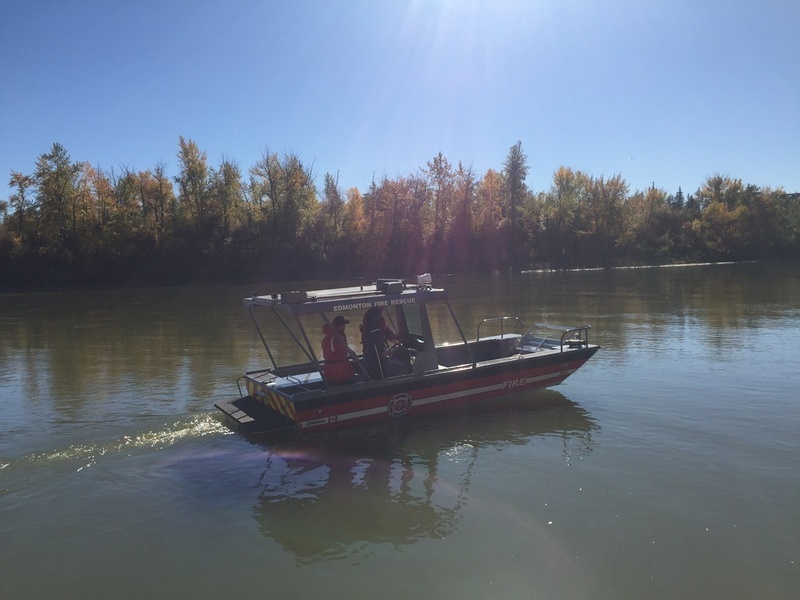 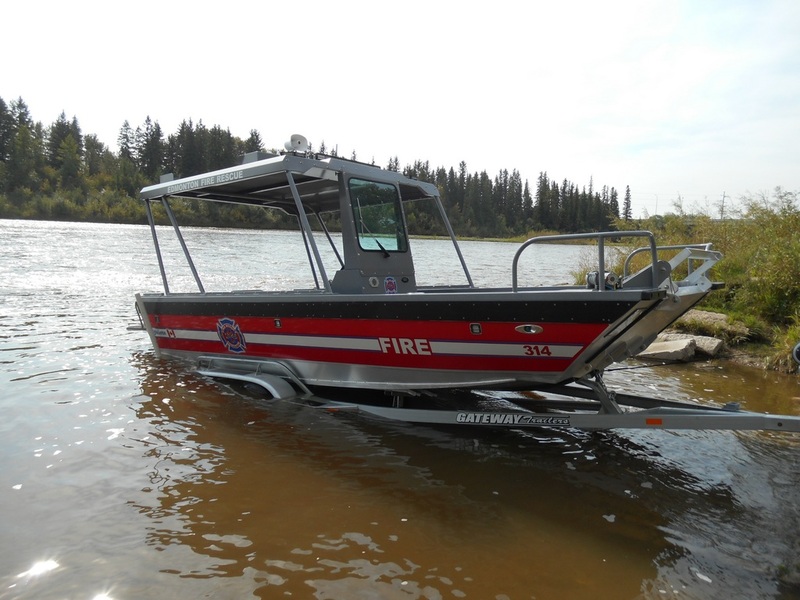 We just have the spray foam under the floor and floor plates left to install, some decals and this new Landing craft will be joining Edmonton's Emergency Response Fleet!